Russian Airborne Troops will practice at destroying illegal armed group in the desert. Russian Airborne Troops will hold joint drills in Africa for the first time together with Egyptian forces and practice at destroying illegal armed group in the desert, the Russian Defense Ministry’s press service said on Oct. 3. "For the first time in history, a unit of Russian paratroopers plans to arrive in Africa with their own equipment to participate in the joint international drills," the press service said adding that representatives of 30 countries will observe the maneuvers. The defense ministry said that Russian and Egyptian servicemen "will develop common approaches to issues of cooperation when performing joint actions to localize and destroy illegal armed groups in the desert." 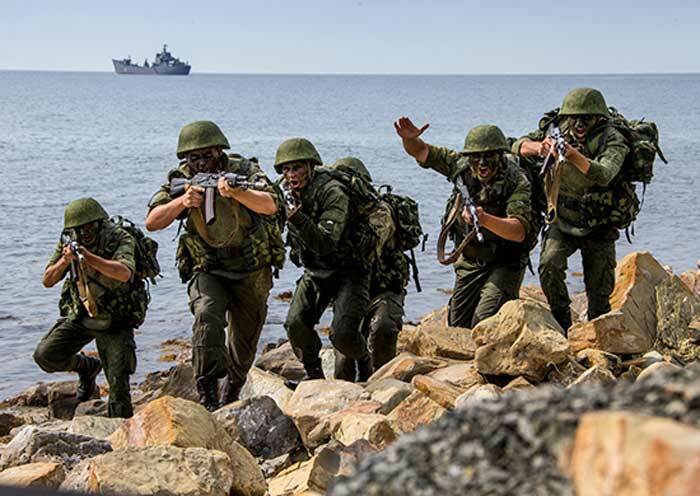 The participation of the Russian Airborne Troops in these drills "is in line with the agreement reached with the Egyptian side and in accordance with the Russian Defense Ministry’s plans for international activities," the press service noted.